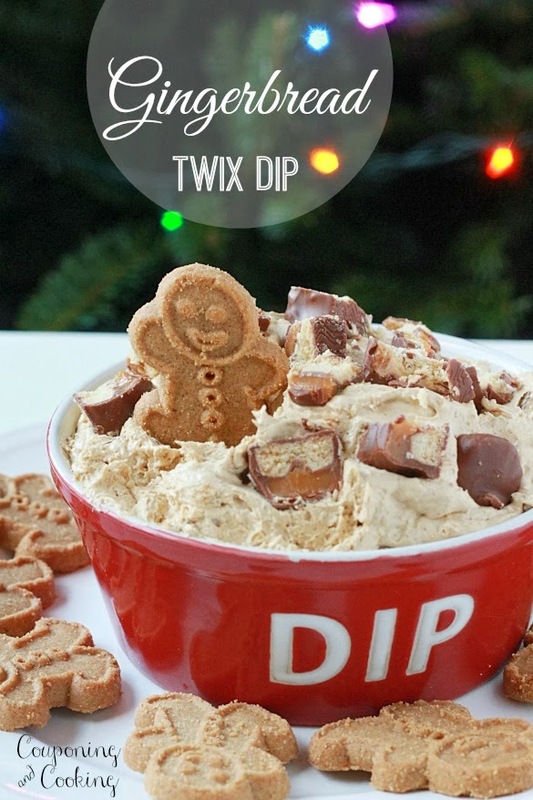 Cool and creamy gingerbread dessert dip made with only three ingredients and just a hint of holiday spice. Did you know that I am a full time teacher? Yep, I am at school from 7:30 in the morning until 3:30 in the afternoon Monday through Friday. And while I love my job, it doesn't leave much daylight for baking, cooking and photographing. Which is why I almost didn't put up my Christmas tree on Black Friday this year for the first time in like, ever. What does my Christmas tree have to do with food photography you ask? Well, there is only one place in my entire house that the natural light is right in the afternoons/evenings to take photos of food. And you guessed it, that spot is exactly where my Christmas tree goes. And for a brief moment, I actually considered not doing my traditional Black Friday Christmas tree shopping and then spending a whole crazy week making and taking pictures of all the recipes I have planned from now until Christmas and then putting up my tree. Thankfully, my husband brought me back to reality and made me realize how completely ridiculous it would be alter the holiday decor of my home simply because I am a weirdo who photographs my food. As it turns out, we were able to find a much smaller table and I can still do my shoots right in front of the tree with it as the perfect holiday food background. It might look a little weird to people that there is a folding table basically on top of my tree but hey, it's all about compromise right? So back to me being a high school teacher...if there is one thing that teachers look forward to it's Christmas break. 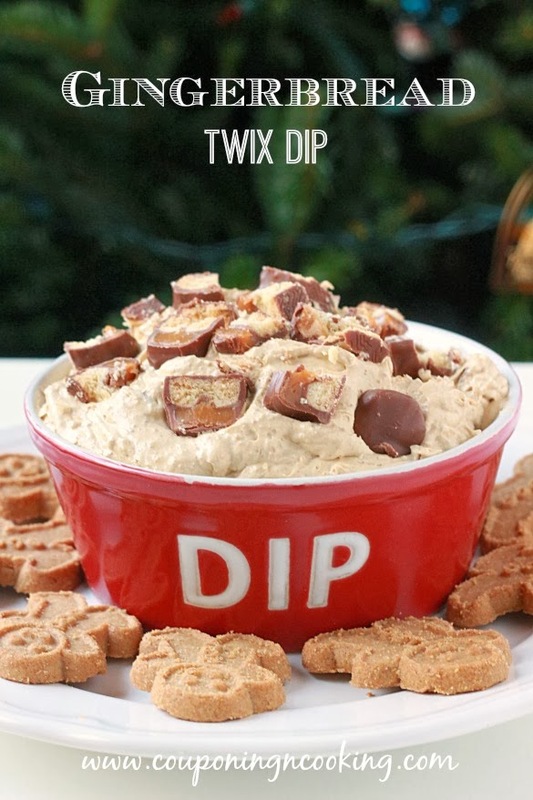 Between the piles of research papers, distracted students, and midterm writing, I am going to need a whole lot of this Gingerbread Twix Dip. It is so easy with only three ingredients and it has the perfect combo of creamy cool sweetness with a hint of gingerbread spice and the random surprise crunch of chopped up Gingerbread Twix Bars in every bite. 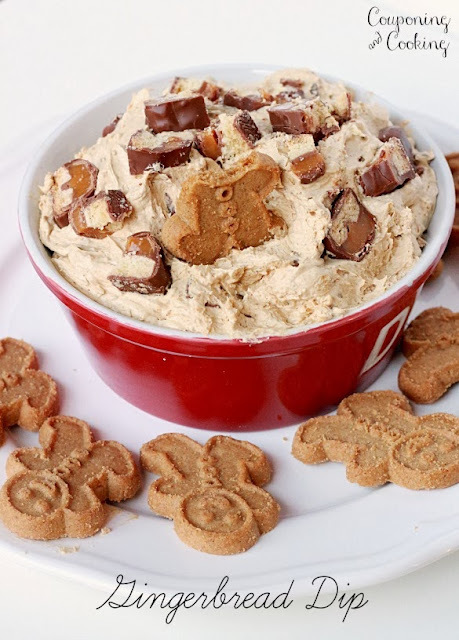 I served mine with store bought gingerbread men but you could always make your own if you don't have 100 five page papers to grade hanging over your head. 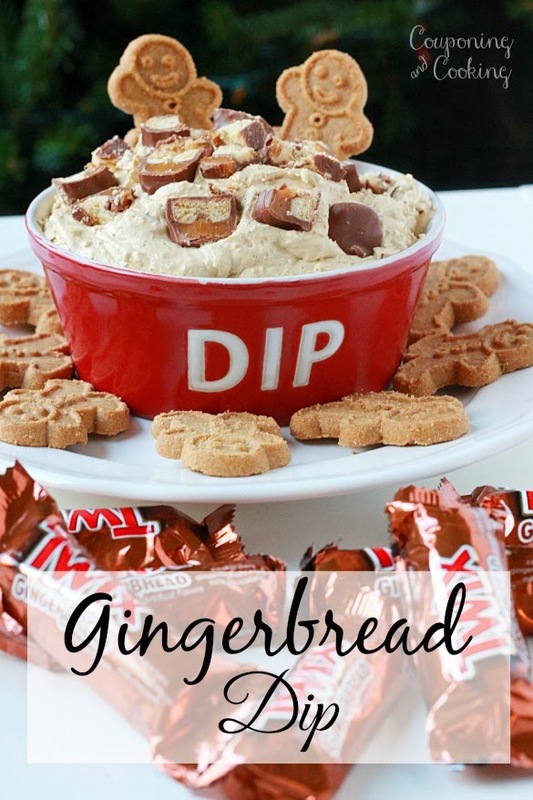 So get out a spoon (and your red pen if you're a teacher) and snack on some of this insanely good dip while you check things off your Christmas to do list. 2.) 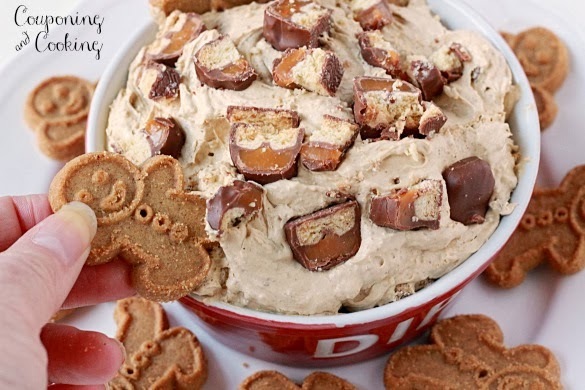 Stir in chopped up Gingerbread Twix Bars. 3.) Refrigerate for at least an hour before serving with gingerbread men, cookies or other treats.